Last week I appeared as a guest on the latest episode of The (title pending) Movie Podcast to talk about G.I. Joe: Retaliation. After hearing co-hosts Tank and Fogs review a few movies currently in theaters and then sharing thoughts on Retaliation with guests Howie Decker of UnderScoopFIRE.com and myself, it as time to put on our movie producer thinking caps. Each of us on the show were given the opportunity to pitch a movie reboot of a popular property from the 80’s. For our reboot pitches, we announced our cast, a few details on plot and for some of us the potential for sequels. It was a lot of fun, which you can hear in full here. Howie chose to reboot The Silverhawks, which you can read about here. 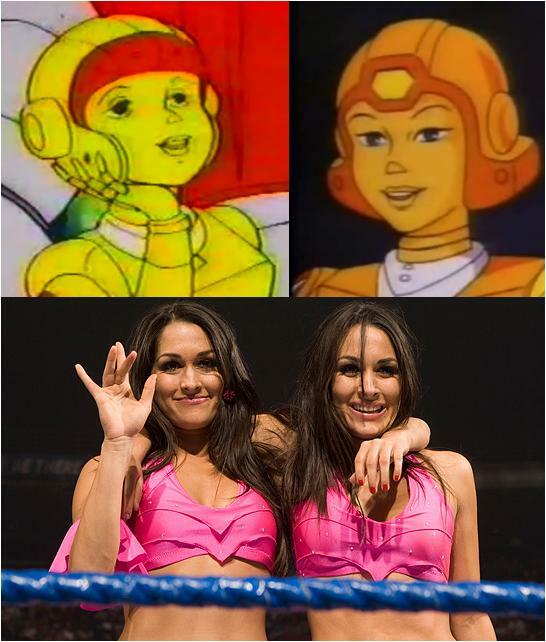 As for me… I choose The Mighty Orbots! 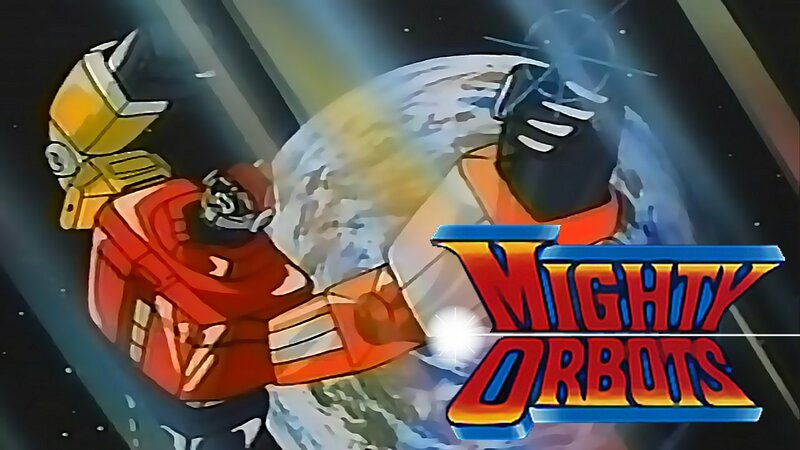 Although this cartoon series only aired for four months in 1984 (September to December) and was overshadowed by similar transforming robot properties like Voltron, Transformers and Go-Bots, Mighty Orbots resonated a great deal with me when it was launched. Similar to Voltron and later iterations of Power Rangers, The Orbots were a team of six robots who combined to form a super-bot who vanquished various villains and kept the peace across the galaxy. What made Mighty Orbots different than Voltron was instead of human-operated lions, each robot was its own autonomous being with its own unique personality. The characterization of the various Orbots as well as the addition of human allies and fearsome villains made this Saturday morning cartoon an instant classic! This series was also notable for the quality of the animation for its time. Tokyo Movie Shinsha and Intermedia Entertainment partnered with MGM/UA Television to produce this show for US television and Japanese home video. Unlike other shows of its kind, Mighty Orbots was much more than a translated Japanese import. The tone of the series is set in the 23rd century, among robots and aliens. People of Earth have joined with other peaceful alien races to form the United Planets, which created the Galactic Patrol as its peacekeeping force under the leadership of Commander Rondu. The Galactic Patrol and the U.P. face off against SHADOW, a powerful criminal organization led by Umbra, a massive cyborg–computer. In order to battle Umbra and his various sinister agents, inventor Rob Simmons created six special robots with unique powers who combine to form Mighty Orbots. Considering that most of the characters in this thing are either robots or monsters, I expect that we would employ some motion capture to CGI technology. What that means is much of the cast will be voice actors, with the exception being any human characters, which can be cast as is. Rob Simmons is the human Orbots Commander. Piloting the Orbots using his omni-suit and riding with co-pilot Ohno in the Galactic Patrol’s Beam Car, Rob is also a geeky scientist who has a crush on Rondu’s daughter Dia. To play Rob, I’d cast ole Samwise Gamgee/Rudy himself, Sean Astin. Ohno is the second-in-command of the Orbots. She co-pilots The Mighty Orbots along with Rob and is the only Orbot who can’t fly, thus having to ride in the Beam Car. She is diminutive in size, yet she is the one who gets the other Orbots into shape. What better voice actress to play Ohno than Meg Griffin herself, Mila Kunis? Tor is the torso of the Mighty Orbots and the powerhouse of the team. He’s a large strongman character who sometimes butts heads with Ohno for second in command for the Orbots, but is not as bright. Tor is also constantly trying to impress twin Orbots Bo and Boo with his strength. To play him, I’d get the voice talents of a similar character- Max Greenfield, who plays Schmidt on the hit TV show New Girl. Bort is a fearful , indecisive shapechanging member of the Orbots. He forms the right leg of Mighty Orbots and is good friends with left leg teammate Crunch. 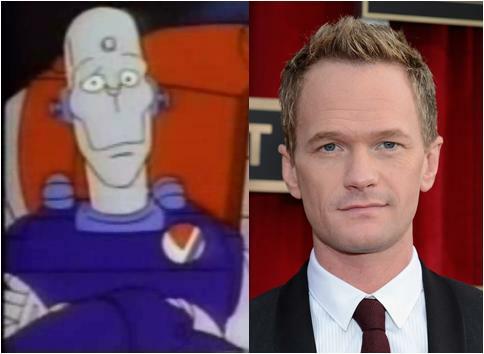 Considering we are bringing back an 80’s cartoon, let’s get the voice talents of a former child actor, Doogie Howser himself! Yes, fresh off his run on How I Met Your Mother, we choose Neil Patrick Harris. To round out the cast of the Galactic Patrol, I’d have Rondu played by Family Ties‘ dad Michael Gross and Dia played by child-actress turned bona-fide movie veteran Drew Barrymore. Both roles would be played on-screen. Kattron didn’t get much screen time in the cartoon, but I’d expand his role as a space samurai warrior and have him voiced by Spawn and Black Dynamite— Michael Jai White. Plasmus is a shape-shifting agent of Shadow who in the episode “The Wish World” tricked Ohno into becoming human, thus putting Mighty Orbots at a temporary disadvantage. I would have this play out in the movie and would have Andy Serkis pull double duty as the voice. Draconis is a Shadow agent who infiltrated the prison planet of Devil’s Asteroid when the Orbots were sentenced there in an episode of the cartoon. 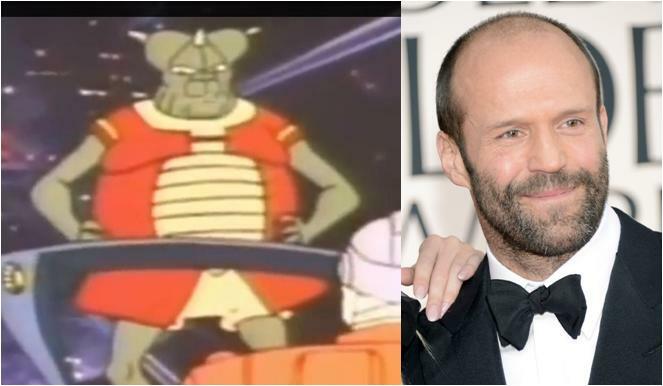 He would be voiced by The Transporter and Death Race star Jason Statham. Doctor Phoenix is a cyborg scientist from Earth who creates a mechanical virus for Shadow called Mechanogen. As a pivotal bad guy, I would have him played by Deadwood star Ian McShane. Well, there you have it. As far as plot, I would likely adapt a combination of Mighty Orbots episodes “The Wish World” and “Devil’s Asteroid“, or I could tell each story as its own stand-alone movie and rake in extra $$$ off the sequels. Check out the episodes linked above and then tell me what you think of this reboot and my casting in the comments below! *credit to Arioch’s Mighty Orbots page for much of the photos and background facts. Want more 80’s movie reboot fun? Then you need to check out the M.A.S.K. 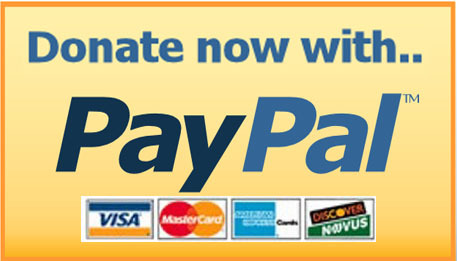 Movie blog and podcast! 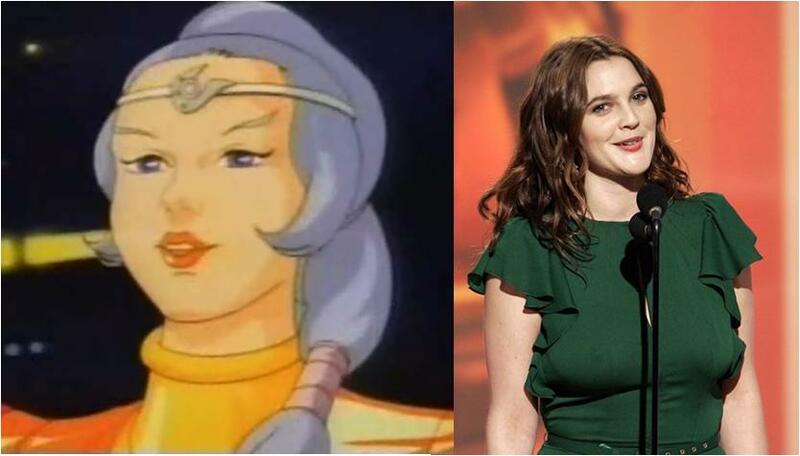 While I agree with most of your suggestions, Drew Barrymore & a dual role for Andy Serkis would be bad. One for Serkis. 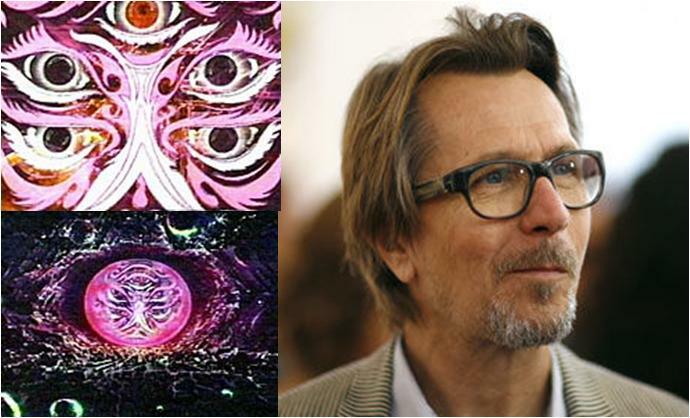 Also, while I like Gary Oldman, I’d sooner see someone with a deeper menacing voice for Umbra. Michael Jai While would be perfect. Thd reboot should take place 10 years after the original series, with a disgraced & drunk Rob forced to find the Orbots. 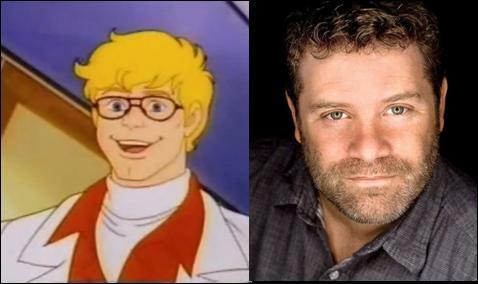 Sean Astin fits perfectly cast as Rob Simmons. I would watch the crap out of this…especially NPH as Bort. i think thats a great cast, (mila kunis/jupiter ascending) so, who should direct & produce, what studio?